In the dead of night, you sense something . . . other . . . beyond your sight, out there in the darkness. You feel a breath upon your neck, cold and clammy, fecund with mold and decay. Your hair stands on end from no random chill. The air is still. No one is there. 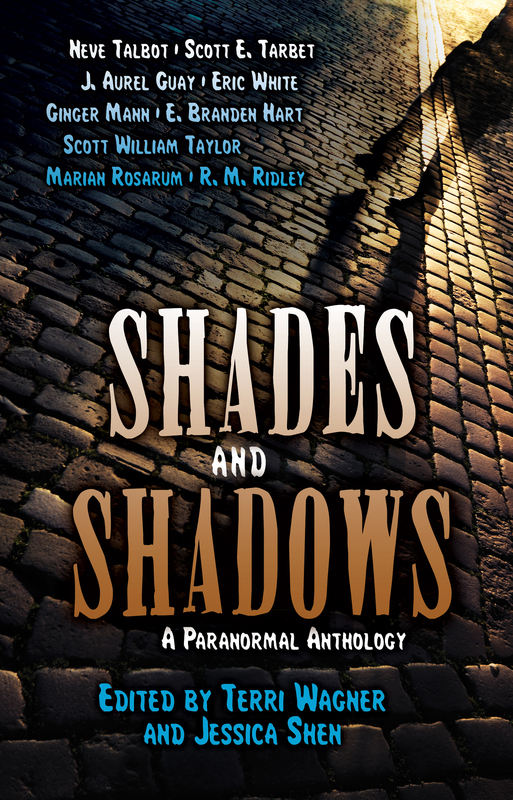 Travel with nine talented writers into their paranormal world, but don’t disregard that inkling that niggles somewhere in the pit of your stomach to leave the light on, to shun that dark room, and to pull the covers over your head. Whatever you do, don’t look under the bed. The Music Man, by Eric White: An ill-begotten ghost story and a child’s disappearance has haunted Peter Holt his entire life. His one wish: face his personal bogeyman and right a terrible wrong . . . and perhaps find the key to laying his childhood demon to rest. China Doll, by Ginger Mann: Nothing stays broken in Kris’ small town, but someone always pays the price. Kris must decide if she is willing to do so when her beloved doll is shattered, and discovers deep secrets about her family in the process. Split Ends, by Scott William Taylor: The love between Frank and Bets has never been physical, as the entire town knows. But when Bets faces heartbreak and turns to Frank for comfort, their choices open up a whole new realm of possibility. Child of the Underworld, by Marian Rosarum: Starving for love and affection, Lara escapes her mother’s bleak realm to feast on the light, color, and sound of the world “upstairs.” But only one thing sates her rapacious appetite—and threatens to banish her to the darkness forever. The Cost of Custody, by R. M. Ridley: When a child goes missing, Jonathan Alvey, PI, knows none but he has the skills to rescue her. But, her estranged parents must come together to create the powerful magic to find her before it’s too late. Tombstone, by Scott Tarbet: Death couldn’t stop one old farmer from protecting his land from oilmen, timber-cutters, and his own family. But can he hold out against 21st century technology and a researcher who sees more than dollars and cents in his homestead? Crossroads, by Neve Talbot: An unexpected road trip gives Rob Daniels a chance to escape the shackles that bind him. Can Nate, his down-and-out brother, save Rob from repeating Nate’s mistakes? Or will a stranded traveler tempt Rob down forbidden paths?luck have kept them alive thus far, but not all the evil is amongst the dead. The Death of Dr. Marcus Wells, by J. Aurel Guay: The young resident doubts his own sanity when he sees his dead fiancé in the night, but a mysterious stranger offers him clues not only to her disappearance but the gruesome murders which plague London, and the means to solve both mysteries.